The mutual reinforcing and the unicity of purpose between Elena and Claudio Cerasi Foundation and CoopCulture gives birth to Palazzo Merulana, opening in May 2018. Founded in 2014, Elena and Claudio Cerasi Foundation holds a fine modern and contemporary art collection, mainly built on the works of artists from Rome and Italy in the first half of the 20th Century. 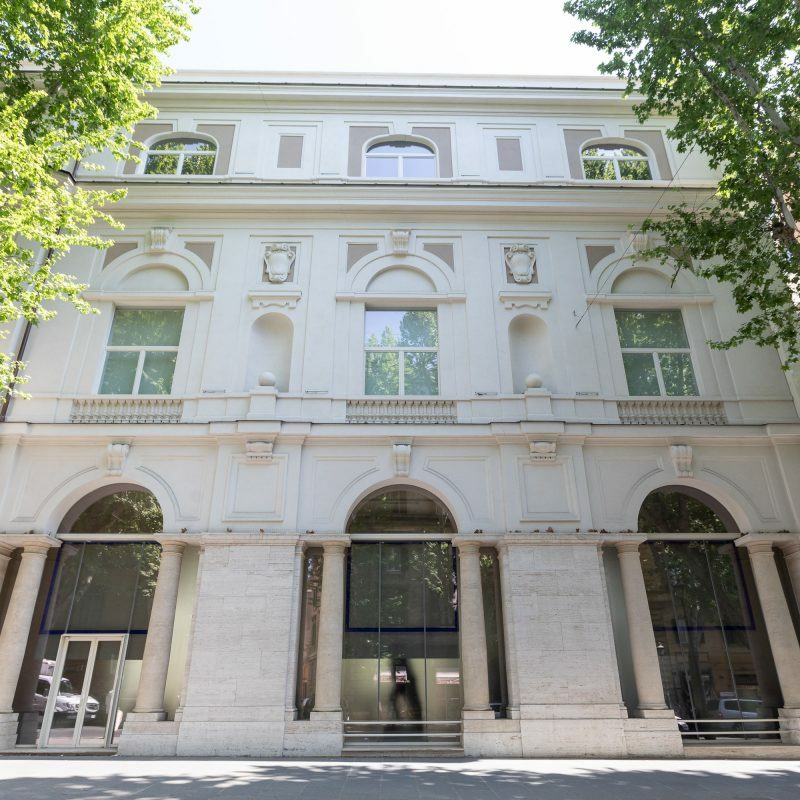 The will of the founders is to give back to Rome and its citizens a place that has been for a long time abandoned, the former Health Department situated at Via Merulana 121, where today Palazzo Merulana has its address. Thanks to a massive reconstruction lasted from more than 5 years, today the building finds a new dignity, as a focal point within different areas of the city. CoopCulture is a cooperative operating in the heritage and cultural activities sector. As a leader in the management of museums and archeological parks on a national level, the company finds in Palazzo Merulana a place where to renew its skills and abilities in catalyzing interest for the arts. The fortunate encounter with the Foundation brings to life the project of Palazzo Merulana.